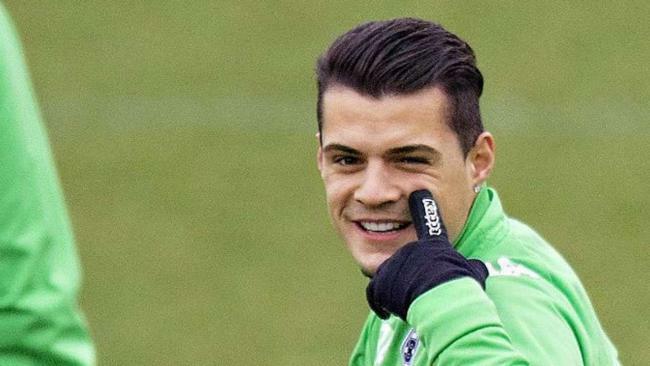 Granit Xhaka is fortunate to play under a manager as experienced as Arsene Wenger at Arsenal. Le Professeur has seen it all during his two decades in North London, so he doesn’t seem too fazed by the Swiss international’s disciplinary problems. Wenger remains relatively tight-lipped on the midfielder’s off-field worries after he was accused of racist language towards a member of staff at Heathrow airport, but he can at least do something about his problems on the pitch. In fact, the Gunners boss revealed the surprising advice he’ll be giving the 24-year-old to avoid future problems. Xhaka denies the incident at Heathrow, so his manager is admirably standing by him. The club must be concerned about his tackling, though, as it can’t be long before opponents start to identify him as a major weakness in their midfield.